Faith: Many of my father's generation came to Hong Kong with nothing but a hope -- if they worked hard, the next generation would be better than theirs. This belief was later known as the "Future Preference" coined by Professor Carroll Quigley of Georgetown University. When I processed this photograph, I came to appreciate what Dr. Martin Luther King Jr. said, "Faith is taking the first step even when you don't see the whole staircase." Trap: Spiders build web to catch insets, human beings build fence to protect ourselves from intruders. It’s the irony that we somehow trap ourselves. It certainly was how father felt when he turned to a teen orphan after the passing of his grandma in the stone house. After months of anticipation, the (in)famous 2015 Hong Kong best film, Ten Years finally made its way to NYC in its North American premiere featured by the NY Asian Film Festival last night. Despite the fact that the film was conveniently dropped by the Hong Kong government in its press release about NYAFF, the sold-out New York crowd gave it an enthusiastic welcome last night. Audiences on stand-by were allowed to join without chairs, who filled the space surrounding the seats in the Lincoln Center's Walter Reade Theater. All five directors who came for the premiere chose to watch the film with the New Yorkers in the theater rather than the Independence Day's fireworks over the East River. Coincidentally, one of the five stories was about people's fight for independence of Hong Kong. I definitely saw indoor fireworks without regrets. Ten Years is added to the list of Hong Kong productions that I watched in the last few years. The short list also includes Ann Hui's A Simple Life and Ip Man 3. The three completely different and yet well regarded films share a common theme, ordinary people's struggle in times of change: in the colonial period (Ip Man 3), the present (A Simple Life) and the future (Ten Years). While Ten Years is categorized as a drama, the five short stories that made up the movie are more like thrillers orchestrated nicely together to paint a picture of the bleak future of one of the greatest cities. The overwhelming reception from the audience turned this award winning HK$500k (US$64k) production into a HK$6 million (US$770k) box office hit among less than a handful of cinemas that dared to show it in Hong Kong. The figure does not include the ongoing community screenings (well attended events), three dozens and counting. 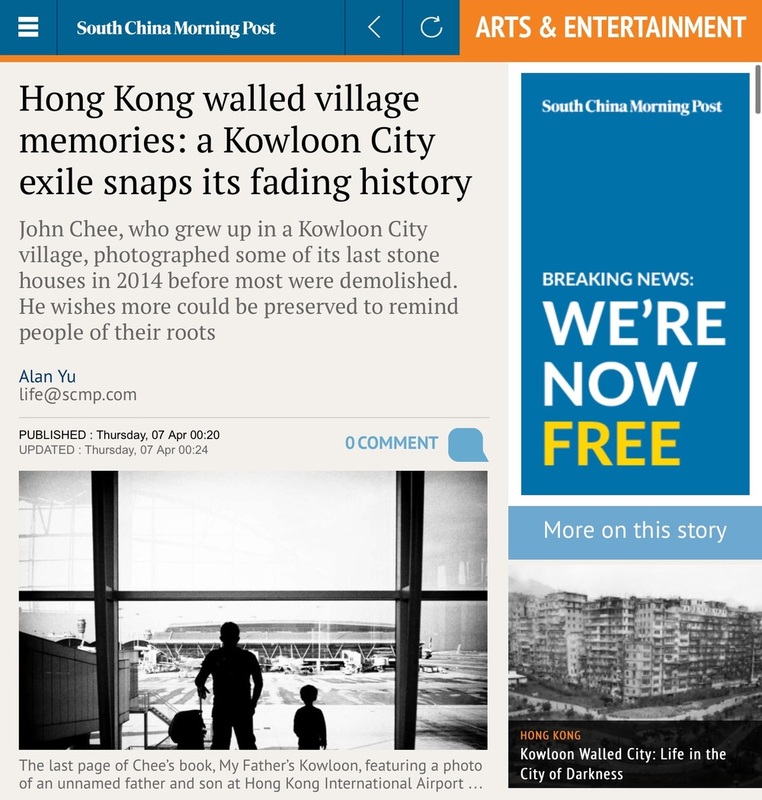 Ten Years is indeed thought-provoking for Hongkongers and beyond. With various actual events happened in the last six months in Hong Kong, including the Causeway Bay booksellers, etc., the harsh reality may have arrived much earlier than 2025 predicted by the film. Some said that the success of Ten Years is a wake-up call for some people of Hong Kong and its government. I consider it a roar of the unheard in a city without democracy. Guide: It was the light that guided me up the stairs for this image. But, when I was standing on top of it, I suddenly thought, "Had my dad stood there with me, what would he feel about all the steps that he had taken in his life." Window: Perhaps, this is the same view that my father had as a child in the historical Stone Houses. The outside world for him was confined by the frame of this window. Kitchen: This is a complex composition of the Stone Houses before renovation. Life back then was pretty simple, a bed with a kitchen and bathroom with no shelter. We seem to have made things complicated as we grow. Beams: Like the Stone House, these beams have witnessed over 100 years of Kowloon City history. The traditional concept of “build to last” seems to have gone out of fashion these days. Mansion: My father's boss lived in this house. Even though my father was merely a driver, his boss was very kind to us. To certain extent, it's was almost like an extension of the family. Apparently, similar kindness from employers is harder to find in Hong Kong. Pavilion: My father took me here when I was a little boy. 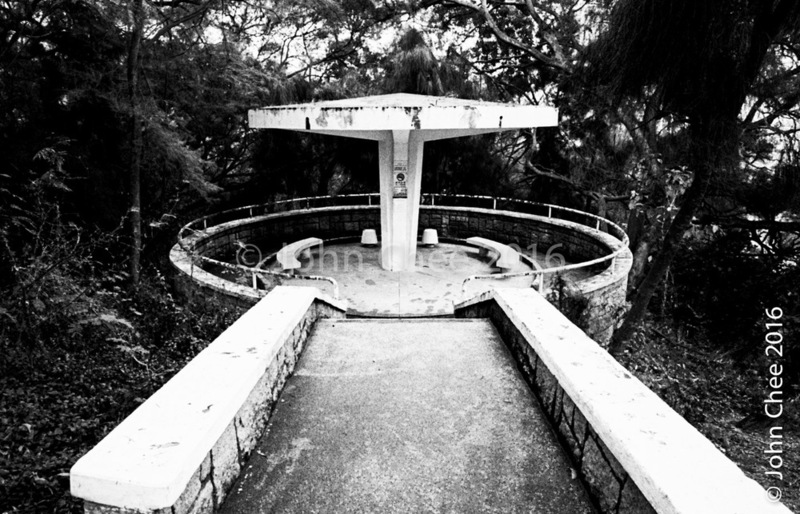 My memory of the Radar Hill was this pavilion. Promise: There was a house once stood here in Nga Tsin Wai Walled Village, with trace of a stair case to the second floor. Now that the house is gone, the two chairs still stick together. Perhaps, it's because of a "promise." Neighborhood: When I was wandering inside this walled village, I could tell that there's a lot of history in the Nga Tsin Wai, the last walled village in the urban area of Hong Kong. As the village with over 600 years of history felt victim to the city's most recent round of real estate corporation led gentrification, we can only learn about the livelihood inside the walled village through history books and photographs. Worship: As a poor boy, my father sold Choi Sun around this temple to make extra money. This photograph is to pay tribute to the temple. Envy: My father could not afford to go to school. He mentioned that he used to watch students getting through this gate, perhaps from where I took this image. Even though we had moved out of Kowloon City, father insisted that his grandkids should attend this school. Based on this, I believe that my father should have some special feeling about this school. Stew: Among various street food, Chiu Chow stew is one of the staple dishes in Kowloon City, a melting pot of people came from different parts of China before and after the WWII. They were proud of their heritages. Most people grew up in Kowloon City observed these differences, and even appreciate the benefits that diversity brought. The rise in popularity of Chiu Chow stew is one of the successful examples. In recent years, integration of people with different backgrounds in Hong Kong appears to be more complicated than before. Film: I met Mr. Wong two weeks before the closure of his store after 60 years of operation. The landlord did not even try to negotiate with him, just simply kicked him out. In the face of the adversity, Mr. Wong maintained his signature smile the entire time when I talked to him. And he kept repeating, “Life is like a movie, movies reflect lives." For me, such positive energy is probably the "Lion Rock Spirit" at its best. 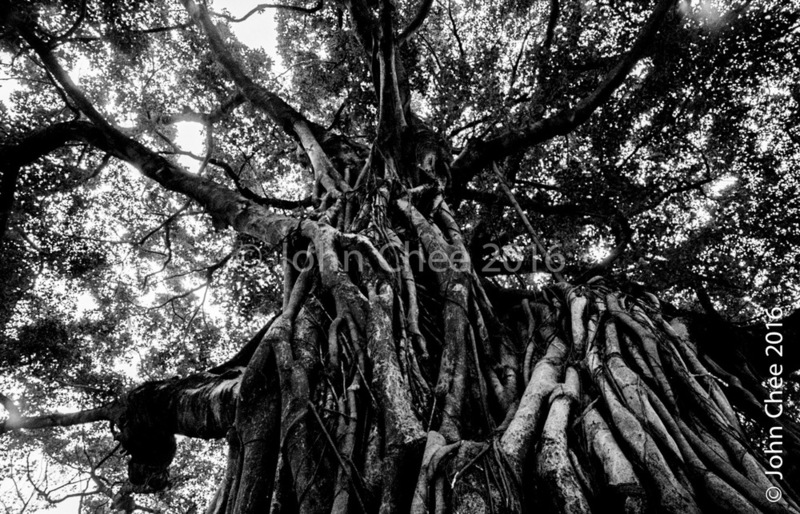 Co-exist: Banyan relies on another plant to begin its life, i.e., an epiphyte and its host. The two co-exist for a while until the banyan on the outside suffocates the host. The host gets rotten and turns into a shelter for little animals. This phenomenon could be related to the current state of Hong Kong that its core values are under threat metaphorically. Gray: This frame was taken in a back alley that is unique to Kowloon City. In this image, there is a white spot in the black area on the right and vice versa on the left. I have a feeling that this notion, i.e., “nothing is absolute” reflects the current state of mind of many people in Hong Kong. The quote "The color of truth is gray" by André Gide, a French Nobel literature laureate may be appropriate for describing this sentiment. Wait: Bus route No. 1 passes through Kowloon City. It shows that Kowloon City was an important place back in the time when Kowloon Motor Bus was founded. The building next to the bus stop is a typical residential style popular during the heydays of Kowloon City. This type of building is quickly disappearing across Hong Kong. It probably is a matter of time for them to be extinct, so goes our history (if nothing is done). This first image gives a sense of urgency of the subject matter. Shall we wait or shall we do something to protect our legacy.